The Ice House :: Stand-Up All-Stars with a John Caparulo "Caplet" taping and more! 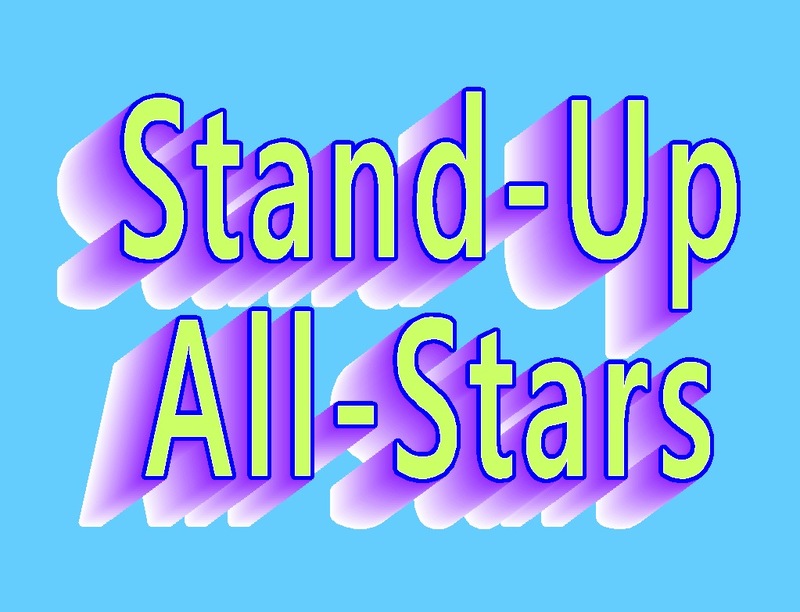 Stand-Up All-Stars with a John Caparulo "Caplet" taping and more! A hilarious showcase of our favorite comedians! Featuring a "Caplet" taping with JOHN CAPARULO, magician ED ALONZO, KIRA SOLTANOVICH, CARLOS OSCAR, PEGGY SINNOT and LEROYCE HAWKINS. Ed Alonzo: Ed Alonzo, with his wonderful Groucho Marx eyebrows, Harold Lloyd Glasses, topped by his signature explosive hairstyle, is easily recognized as one of the country’s foremost comedy magicians. Don’t be deceived by his retro-style costuming, because for Ed, the tux and the magic is simply a vehicle for his intelligent and sidesplitting comedy. Perched on the precipice of international fame, Ed Alonzo already has a phenomenal track record! Not only Command Performances in London, multiyear headline contracts in Ls Vegas, and countless US and International Television appearances, but Ed also has a wealth of experience in the art of funny From comedian, to actor, to Vaudevillian Entertainer, Ed Alonzo’s performances grab the audience’s funny bones and tickle relentlessly, leaving crowds rolling in the aisles gasping for air. While most magicians use a dramatic flair to build to a crescendo, Ed raises his audience's anticipation with laughter. Comedy energy has been bursting from Ed all his life. By the time he was seven, Ed was already performing in his own puppet and magic shows for friends and family. While in his teens, he became one of the youngest comedy/magicians ever to perform at the world famous Magic Castle in Hollywood. Ed Alonzo won the coveted STAGE MAGICIAN OF THE YEAR for two consecutive years, and COMEDY MAGICIAN OF THE YEAR for another two consecutive years from the internationally recognized Academy of Magical Arts. Ed is also the recipient of two WORLD MAGIC AWARDS presented on MY-network TV and two MERLIN AWARDS from the International Magicians Society. In a word, “Ed Alonzo is Brilliant!” He is often recognized as the series regular, Max – the owner of the diner, from the hit sit-com “Saved by the Bell”, and the costar on “XUXA”, the CBS Saturday Morning program. His numerous television appearances include NBC's Las Vegas, ABC’s Full House, the CBS comedy Murphy Brown where he became one of the infamous secretaries in a guest-star role. In addition, Ed has appeared on over 100 major television variety and talk shows like The Ellen Degeneres show, Top Chef Masters, The Late Late show with Craig Ferguson, Animal Planet, E true Hollywood Story and Americas Next Top Model and more. Ed Alonzo, the Misfit of Magic, is in demand around the world. He headlined in Athens Greece at the Gilano Music Theater for a three month run. While there, he appeared and disappeared on all the major European TV talk and variety shows, magazine covers and city billboards. For the next three months Ed did the same in Brazil starring in the International Magic Festival held in both Rio and Sao Paulo then off to Malaysia starring in the Genting magic festival. On New year's eve 2008 Ed was the opening act for comedian Jay Leno of tonight show fame for two sold out shows. From March to November 2009 Ed toured around the world with pop star Britney Spears, performing in a magic production number with Miss Spears playing the role of magicians assistant. Ed was also hired by and met with Michael Jackson to create the illusions for his O2 London concert in 2009 “This Is It”. Ed continues to create effects for pop artists, most recently for Usher on his OMG music video. “MAGICIAN OF THE YEAR” was presented to Ed at the Academy of Magical Arts awards show in Hollywood, April 2010. The same year Ed’s first Grand Illusion Magic set is available to the public at Costco stores US, Mexico and Canada.